Managed to find the access to the machine room for the swing-door Seaberg elevator seen previously in this gallery. 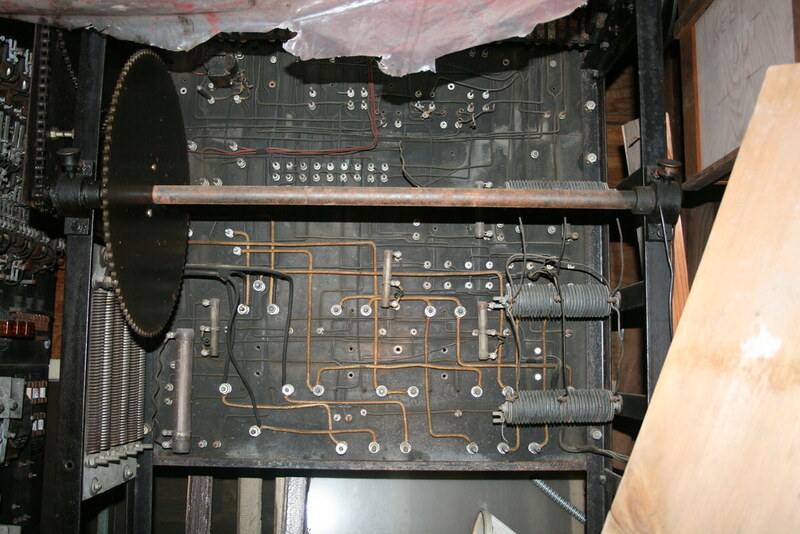 After climbing up a very tall ladder, I came face to face with this vintage electromechanical controller. The selector wheel is seen in the foreground here.